Delicious grilled Mexican street corn salad recipe is a fiesta in a bowl! A healthy salad packed with fresh vegetables and creamy chipotle yogurt dressing. One of my favorite ways to spruce up corn on the cobb is Mexican-style elotes. They are roasted ears of corn topped with savory spices, creamy sauce, cheese, limes, and chopped cilantro. A handheld treat that you can’t resist! With BBQ and picnic season well on its way, I found a quick, healthy and portable way to enjoy elotes. I’ve taken the key flavor elements and added them to a vegetable-packed salad. This Mexican street corn salad with creamy chipotle dressing will turn dinner into a fiesta! With summer on its way and corn in season, you can find the sweetest, plump kernels on sale. Now that I’ve gotten a chance to spend more time cooking outdoors, I often shuck a few ears of corn and toss them right on the grill. It’s straightforward and easy! Okay, to take this corn salad to the next level, you’re not going to want to skip this dressing. Mexican street corn is commonly topped with mayonnaise, but I thought I would lighten up the dressing with plain nonfat Greek yogurt instead. The yogurt adds some extra protein into each bite plus you still get the creaminess that is so awesome. A little bit of cumin, chipotle pepper, and fresh lime zest and juice infuses those earthy and smokey flavors into the dressing, yum! This salad is a combination of sweet, savory, smoky and crunchy ingredients with a hint of fiery spice. When I create a recipe, I like to have a balance of various flavors and textures that complement each other. It’s no fun to eat mush, right? The produce that I selected for the base of the corn salad are cucumbers, bell peppers, red onions, avocado, garlic, and jalapeno. See how those provide crunch, creaminess, and earthy flavors? The last thing to do is top the salad with some Queso Fresco or Cotija cheese if you like a more pungent flavor. I can’t wait for you to dig in! As much as I love corn on the cobb, this salad makes eating my favorite summer vegetable much easier and even more tasty with the Mexican-inspired ingredients. Plus, no worrying about those little kernels getting stuck in your teeth, ha. I’ve been serving this salad with my blackened chicken tacos or mahi mahi for a complete meal. What would be your perfect main dish pairing with this corn salad? Have you noticed cut avocados turn brown if you don’t eat it right away? Why does this happen? There is an enzyme that is naturally occurring in avocados called polyphenol oxidase. When the flesh of the avocado is exposed to oxygen, it reacts with the enzyme, and you see the browning occur over time. If you can keep the contact with oxygen to a minimum that helps. When I’m cutting up avocados for a recipe, I fill a container up with about 1 cup of water and 1 tablespoon lime or lemon juice. The acid in the citrus lowers the pH of the water and slows down the browning process. I leave it in the solution for about 5 minutes, drain the avocados, then add it to my recipe, tightly cover the dish, refrigerate and serve within a few hours. Heat grill to high heat. Add a small amount of vegetable oil on a folded piece of paper towel, and then carefully grease the grill with the oil. 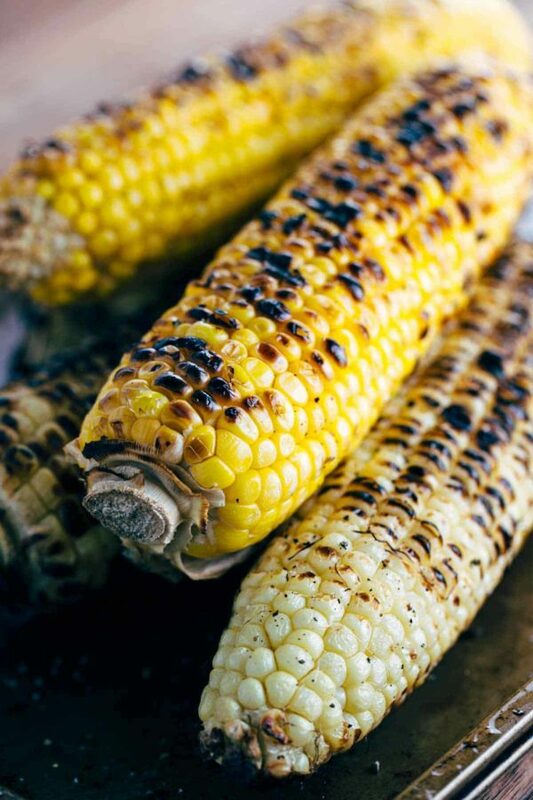 Once the grill is nice and hot, add the corn. Close the lid and cook about 2-3 minutes on each side, flipping and covering about 12 minutes total. You want to achieve some char marks on each side. Set corn aside and allow to cool enough to handle. Carefully cut the corn kernels off the cob on a cutting board. 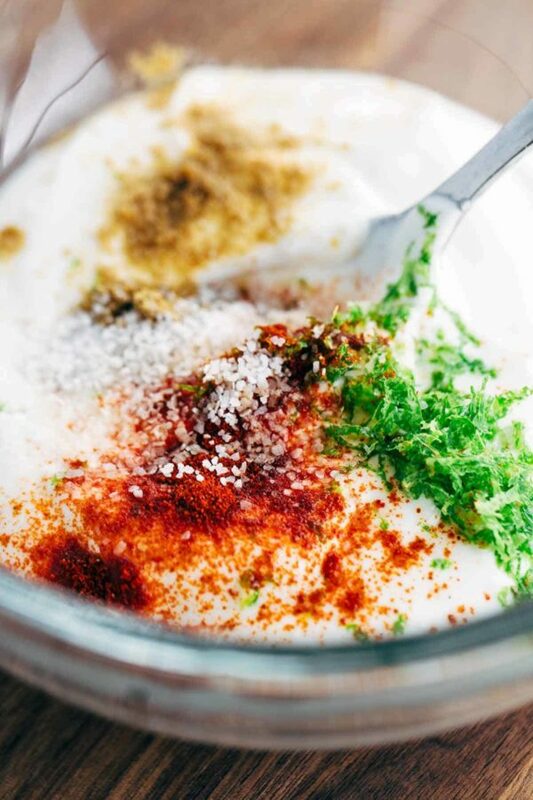 In a medium-size bowl whisk together yogurt, lime juice, zest, chipotle pepper, cumin, and salt. Slowly drizzle in olive oil and whisk into dressing until smooth. Taste dressing and add more salt and pepper as desired. Right before serving, combine the salad with half the dressing. Drizzle the top of the salad with the remaining dressing as desired, crumble the remaining ¼ cup cheese, some chopped cilantro, and freshly ground pepper. Add diced avocado to 1 cup of water plus 1 tablespoon lime or lemon juice and allow to soak for 5 minutes before draining and adding to the salad. This helps slow down the browning, especially if you are not serving the salad right away. This looks absolutely divine, Jessica! Mexican flavours are my absolute favourite. Can’t wait for corn season to arrive here! You are going to love this salad Sasha, especially when the corn is super sweet and in season. I can’t wait to here what you think! I would like to know what is the measurement of 1 cup. This was an Excellent side for my marinaded skirt steak last night. It definitely has some prep time involved but it is well worth it. My wife doesn’t particularly like Chipolte flavor but it is subtle enough to just accent the dressing and not overpower it, and she loved it. Thanks again for a healthy flavorful side that goes with a lot of main dishes. look forward to more. I just made this recipe, found it on pinterest. Super yummy!!!! I love, love, love the idea of a street corn salad. This is great for a summer side dish or even a light lunch. Love it! Thank you Jennifer! I’m so happy that you found me on pinterest 🙂 Definitely a great light lunch, especially if you add some protein, yum! My husband and I have begun paying better attention to what we eat. I’ve struggled with finding delicious yet healthy recipes. I’m so happy i ran across your site, everything sounds super yummy! This is an easy and flavorful salad! I’m excited about only 177 calories per serving size and so much deliciousness too! This recipe is a keeper! Thank you so much Susan! I tried my best to make a flavorful sauce without the heavy mayo ???? So thrilled to hear that you enjoyed the grilled corn salad! Had this at my family’s book club and my cousin added to it to make it a meal. She added black beans to it and served in over a bed of quinoa with chopped grilled chicken on top. It is amazing and I immediately made a batch for my week’s lunches! Totally satisfying and light all at once. Love the crunch! Thank you! I love the idea of adding black beans, chicken, and quinoa, great idea Dana! Thumbs up on meal prep, you’re rockin it girl! Crazy delicious! I skipped the cheese because I couldn’t find it in the store but so delicious, it doesn’t really need it. I could totally eat the whole bowl right now!!! Great question Christel! Elotes are Mexican street corn on the cob. So yummmy! It’s usually grilled with toppings, like chile powder, butter, cotija cheese, lemon juice or lime juice, and mayonnaise. 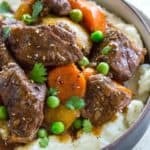 Is it possible that non-grill owners can make this recipe? Yes! I would cut the kernels off the cobb and then saute the until tender and lightly browned with some butter or olive oil. I love that there are nutrition facts, but I can’t find anywhere what the measurement for a serving is. One cup? Half cup? Great question! 1 serving of corn salad is about 1 1/4 cup. We are having a Cinco de Mayo/May the Forth be with you, potluck at work so I found your recipe. I love all this recipe. One question would you add all the ingredients right before the potluck? Thank you. This salad is delicious, so fresh and perfect with corn in season. I had to keep reminding myself that the decadent dressing is actually healthy with yogurt as the base. Got a late start on dinner, but my husband said it was worth the wait….he loved the salad that much! Thank you for this fabulous recipe! !